BREAKING ALL THE RULES Suz Hawthorne was always a rebel. 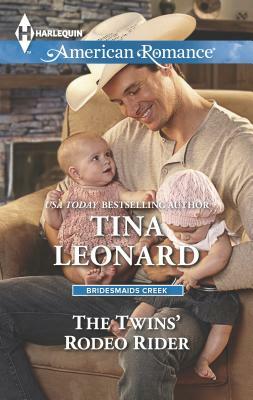 But falling for Navy SEAL Cisco Grant--when Bridesmaids Creek legend already chose him as destined for another woman--borders on sedition. For a small Texas town that depends on its romantic reputation, flouting local lore is disastrous. Now, Suz's renegade heart could cost her the family ranch, and the town its livelihood. Cisco knows he and Suz are meant for each other, and the twin babies they're expecting are the only kind of magic he cares about. No one ever tried to cheat the Bridesmaids Creek charm before, but Cisco believes in doing things the old-fashioned way...his way. Can he preserve the town's fabled tradition and still win the woman he loves?